Weleda's wild rose range is produced with rose essential oils harvested directly from freshly picked flowers. 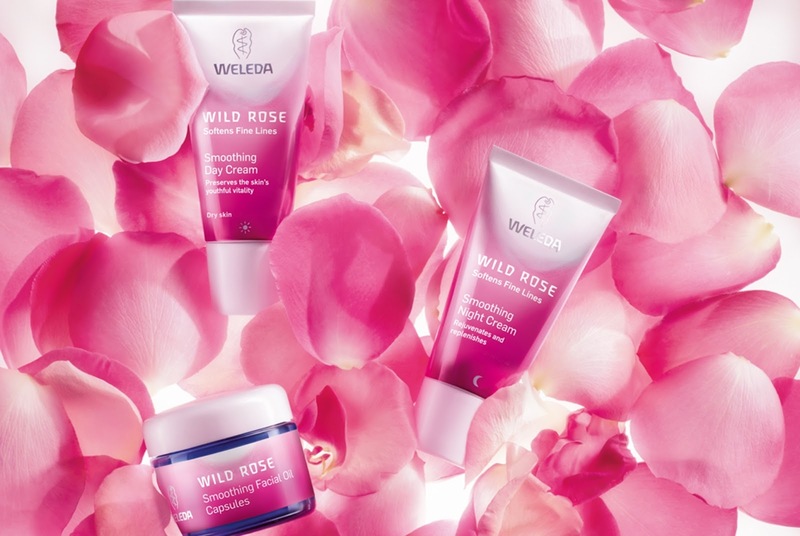 The range is so popular that Weleda grows over 600 tonnes of organic roses each year. That sounds like a ridiculously unimaginable number, but it makes sense once you know that to create just one litre of essential oil you'd need three million flowers! I was sent a little trial sample of the wild rose smoothing facial oil capsules to see what the fuss is all about. Each little capsule contains a combination of high quality, cold pressed plant oils including revitalising rose oil, nourishing evening primrose oil, protective peach kernel oil and gentle almond oil. The capsules are quite small and contain just the right amount of oil to treat yourself once or twice a week after cleansing. These have shown me that I must usually be going a bit overboard as when I've used other oils in a bottle form I usually slap on about three times this amount, so that must be much more than my skin needs! The oil has a soft rose fragrance - it's not overpowering at all and much more subtle than I was expecting. The oil feels lovely and warming on the skin and really nourishing. If you've got the time you can wrap your face in a warm, damp cloth for a few minutes for a more effective treatment to create a soft and supple complexion. The wild rose facial oil capsules usually cost £18.95 for a jar of 30 capsules, but until 30 June you can get 50% by using the code EBLOG at the checkout - weleda.co.uk.